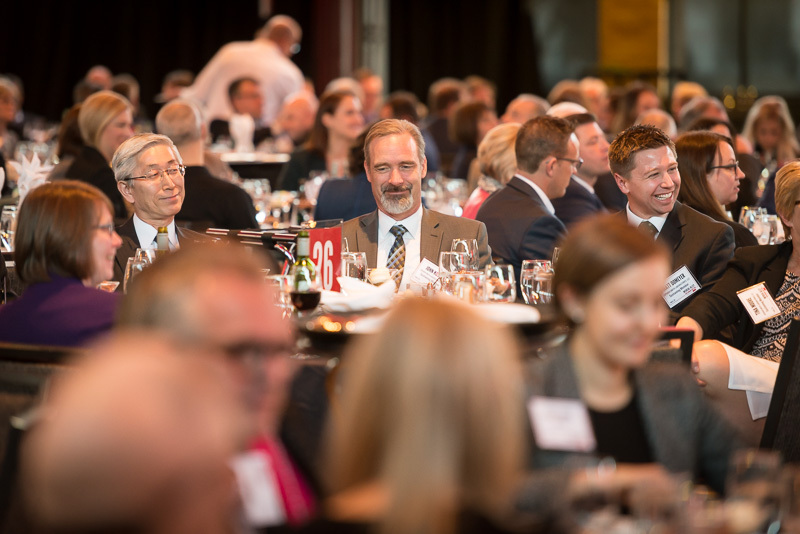 Spring came just in time for the 2018 Medical Alley Annual Dinner, held on April 24 at the Depot MPLS. 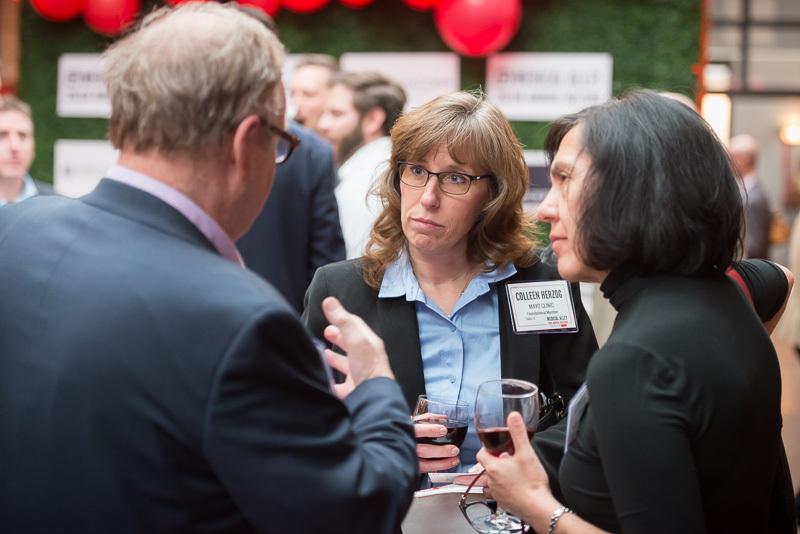 Over 750 Medical Alley members – sans winter coats – joined together to celebrate a stellar year that was for our community and to look ahead at what’s to come in the global epicenter of health innovation and care. After a great networking and exhibition time, attendees made their way inside the beautiful dining hall for the evening’s program, kicked off by CEO Clay Wilemon of naming sponsor DevicePharm. In his annual “State of Medical Alley” speech, Medical Alley Association President and CEO, Shaye Mandle, spoke passionately about the level of care and the quality of solutions coming from Medical Alley companies. Mandle repeatedly reminded the audience that the life-changing work that comes from Medical Alley is a direct result of their efforts and that the world is a demonstrably better place because of their dedication. 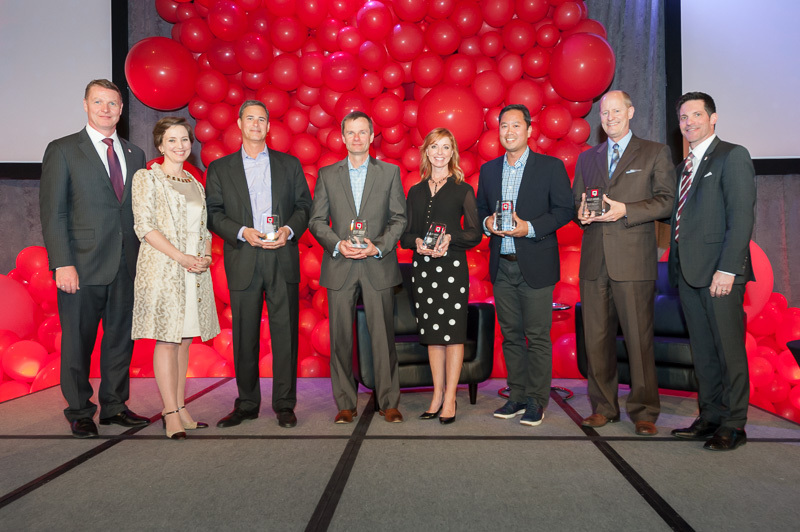 After Mandle’s address, we honored this year’s Alley Award winners, chosen for going above and beyond to show the world that the most meaningful advances in health happen right here in Medical Alley. The winners were Bright Health, OneOme, RoverMed, Stemonix, and State Senate Majority Leader Paul Gazelka, all of whom were richly deserving of the recognition. To round out the evening, Tony Miller, Founder and CEO of Bind, the on-demand healthcare startup that is reshaping the way consumers think of insurance, joined Mandle on stage for the evening’s keynote fireside chat. 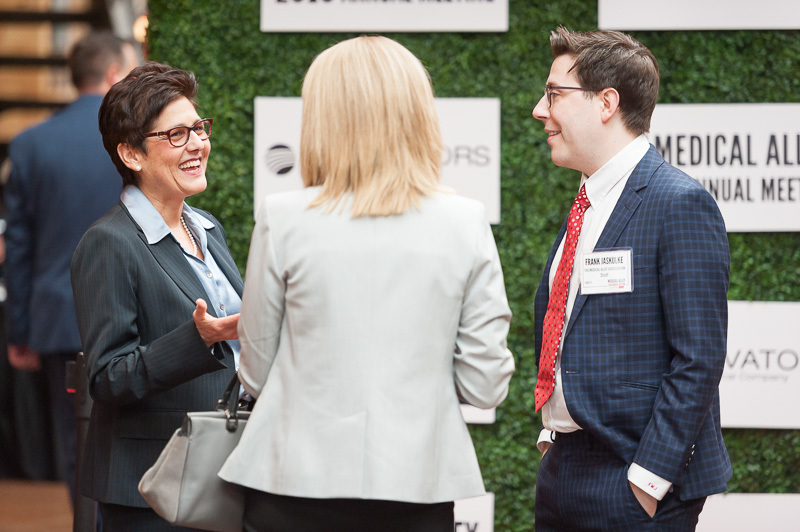 Mr. Miller drew on a career’s worth of experience watching the modern insurance landscape take shape – and doing some of that shaping himself – to explain to a rapt crowd why the current status quo wasn’t going to stay for much longer. 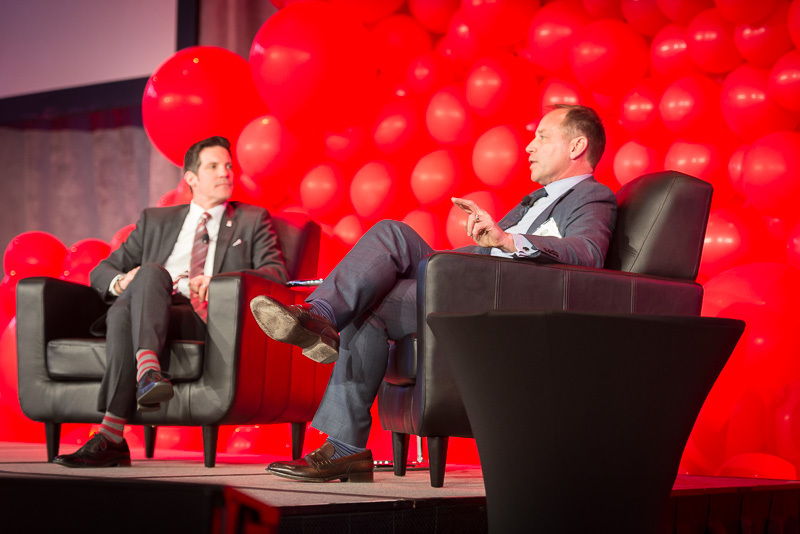 From his life-changing brush with medical school to his passion for truly disruptive ideas in unexpected places, Miller gave the audience an engaging look at why he believes the future of health care is consumer-driven and how companies should be preparing themselves now for the change. We are so grateful to everyone who was able to come to this year’s Annual Dinner and to the sponsors who made it all possible. 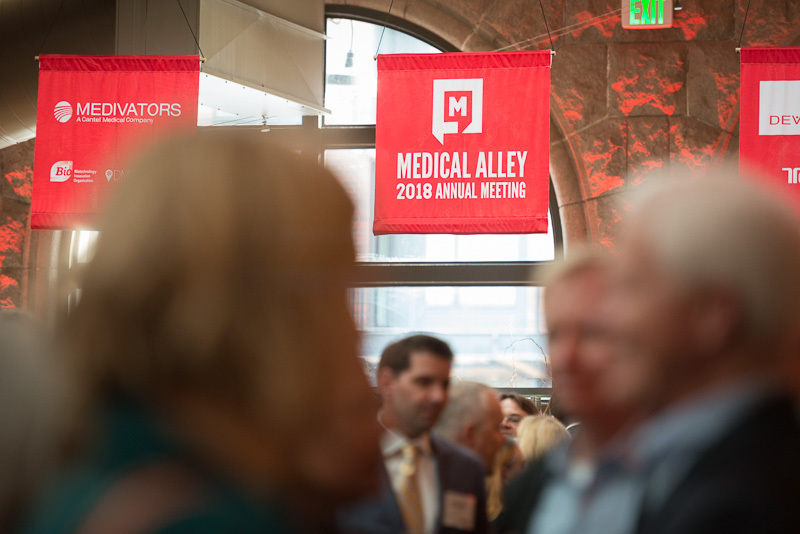 Medical Alley truly is the global epicenter of health innovation and care, but that is only true because of the passion and effort of our membership. 2019 Annual Dinner Open for Registration! Join your peers from across the healthcare spectrum at the Medical Alley Association’s Annual Dinner! 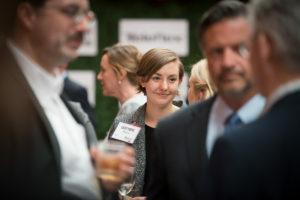 This evening gala brings together hundreds of MAA companies, including the Association’s foundational and sustaining members, for a spectacular evening of connecting, conversing, and celebrating leaders that are raising the profile of this region with their work.